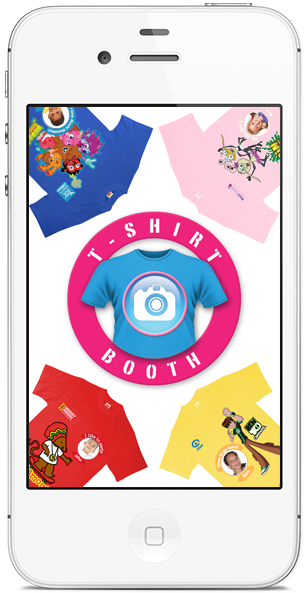 T-Shirt Booth is a brilliant new app that launched last month. It is free to download and enables people to design and buy T-Shirts featuring favourite children’s characters. The best thing about the whole thing is that each children's character has formed a partnership with a charity - so every time someone orders a T-Shirt, a charity benefits. The T-Shirt's cost £9.99 each - with £2 from each purchase going to the charity partnered with the children's character you select for your Tee. And dozens more characters will be added over the next few weeks, just in time for Christmas, including The Snowman and The Snowdog and Santa’s Little Helpers for ITV Text Santa. www.t-booth.net. Charity and character partnerships continue to be formed.